Kids, learn the rhyme early to bed, it is very important to have good habits. 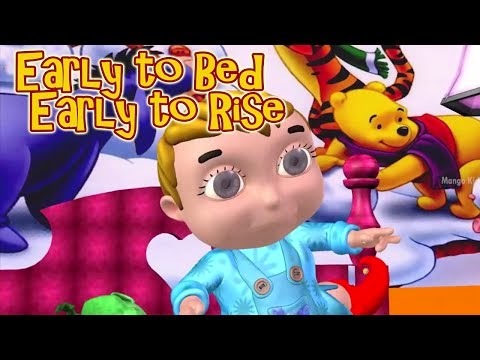 watch this video and learn 2 good habits,which tell you to sleep early and get up early. watch this video to know what happens when we sleep and get up on time and don't get late.